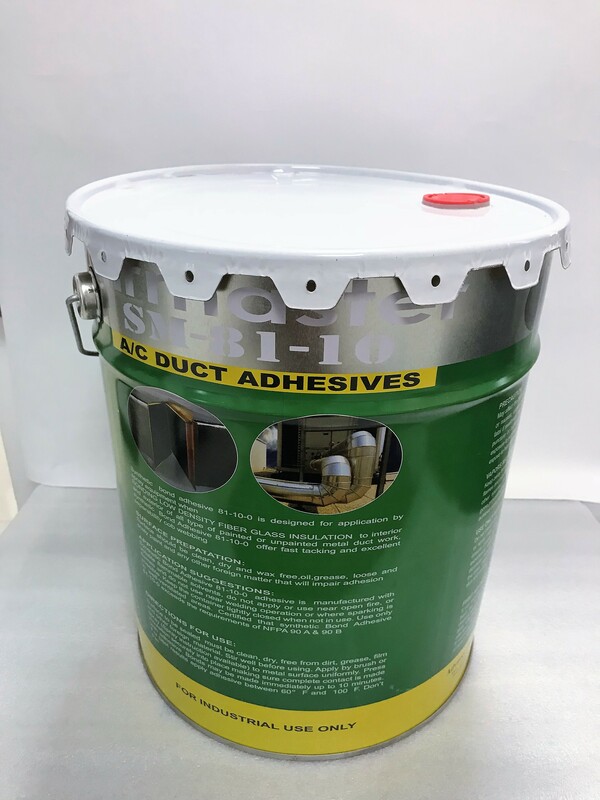 Advance Packaging & Adhesives LLC is best manufacturer and supplier of Synthetic Bond Adhesive all over UAE including Abu Dhabi–AUH, Ajman – AJM, Sharjah – SHJ, Dubai – DXB, Fujairah – FUJ, Ras Al Khaimah – RAK, Umm Al Quwain – UAQ. Airmaster 81-10 Synthetic Bond Adhesive is a low cost, quick setting synthetic elastomer adhesive for use with fibrous glass insulation (up to 3 lbs./cu.ft.) duct wrap and acoustical linings for air handling ducts. Synthetic ADHESIVE meets ASTM C916, Type IV (ASC-A-7001-A, Type IV) and NFPA 90A and 90B 25/50 requirements. Synthetic adhesive contains no asbestos,lead, mercury, or mercury compounds. Designed for use in applications where fibrous glass insulation is bonded to the interior or exterior of sheet metal air-conditioning ducts.